Here's one for the hardware geeks: Samsung has release the specs of the chip-set which should power future generations of Android tablets. 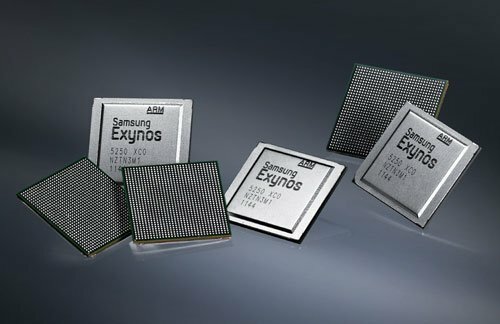 The new Exynos 5250 SoC (system-on-chip) promises dual-core speeds and improved 3D-graphic performance in a mini container. The dual-core A15 Processor featured in the Exynos clocks in at 2 GHz –much faster then Samsung's current Cortext A9 CPUs– and supports resolutions of up to 2560x1600 pixels meaning next gen. tablets are could have some seriously massive displays. But don't expect tablets featuring “Exynos inside” any time soon. The high-powered CoS isn't due till Q2 of 2012. Now, as impressive as the specs of the new chip series are, one thing it's easy to forget is just how much power can be packed into such a small space. So just so we don't forget how good we've gotten at shrinking down our electronics into impossibly small packages, check this pic out. 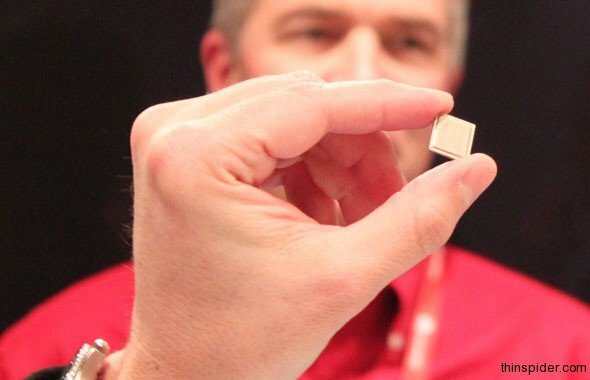 Yep, that's how small modern CPUs have gotten. Colour me impressed. Why Aren't Front-Facing Cameras on Tablets Better Than Their Rear Counterparts?